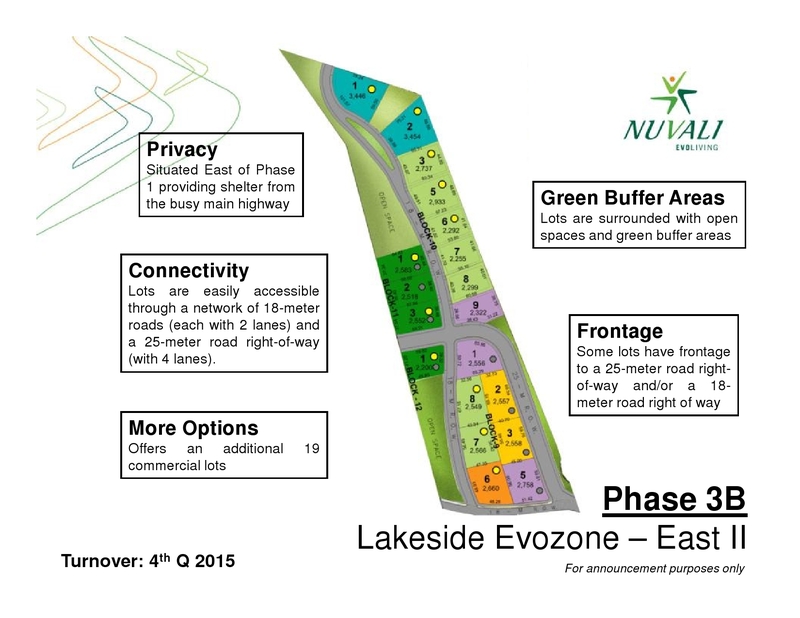 NUVALI Commercial Lots for sale at LAKESIDE EVOZONE – WELCOME HOME. 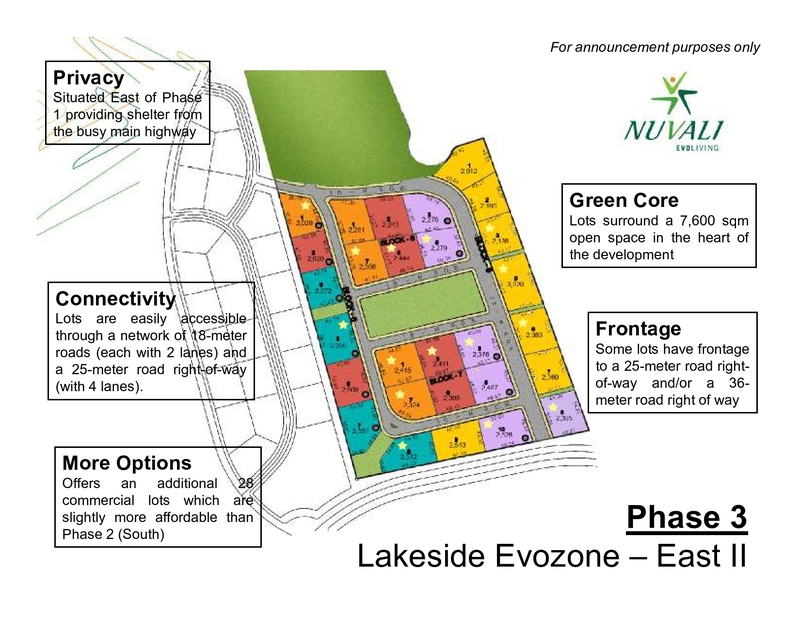 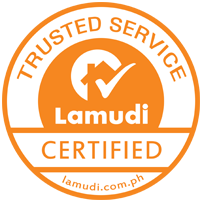 As the first and largest mixed-use eco-city development of Ayala Land, NUVALI has become another testament to Ayala Land’s ability to transform a piece of land into a sustainable environment of the future. 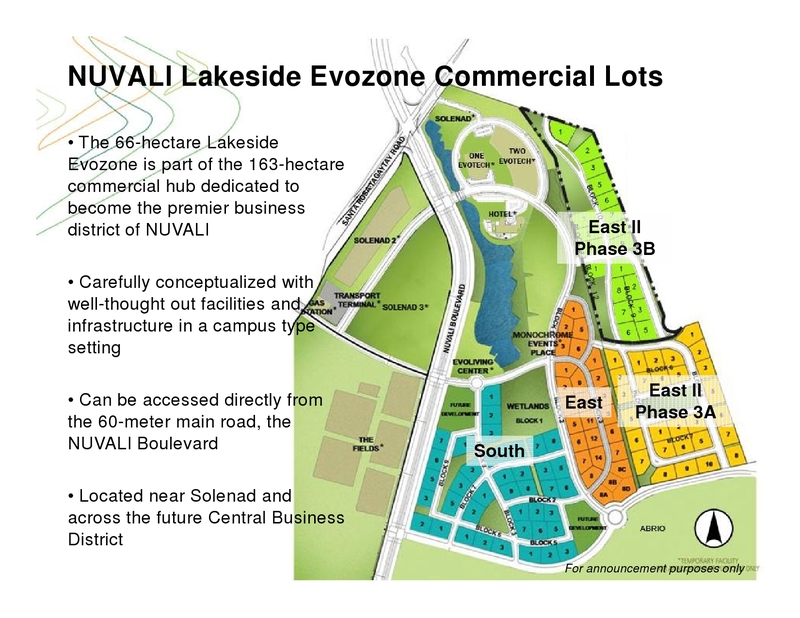 Within NUVALI’s 220-hectare commercial and business district lies the 66-hectare LAKESIDE EVOZONE, a development poised to be the premier business hub south of Makati.